Sports activities are organized at SSM not merely to reap the benefit of physical fitness but also to help our students increases their self-esteem and mental alertness. We have provisions of indoor and outdoor games and many of our students , specifically in sports like table tennis and badminton, bought laurels for the institutions. 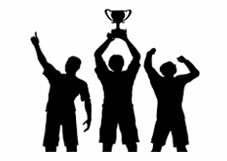 We also have strong football and cricket teams who regularly participate in inter-college tournaments.